Manufacturing facilities rely on efficiency and streamlined production methods in order to create their products. However, even the most efficient manufacturing plants are bound to generate some form of waste. By working with a company offering waste management and recycling near Atlanta, you can reduce the amount of materials that you discard during the manufacturing process, while also making sure that your waste is disposed of in a safe and responsible manner. If you are creating a waste disposal plan for your manufacturing plant, read on to learn more about the most common types of manufacturing waste. Solid waste is a term that describes any paper, plastic, metal, or carbon based materials that are left over after the manufacturing process is completed. Some examples of solid waste include cardboard, scrap metals, or packaging materials. While some solid waste must be thrown in a dumpster, other forms of waste can be easily recycled. Recycling paper and cardboard can help you cut back on the carbon footprint of your manufacturing process. Depending on the nature of the manufacturing process, certain facilities may generate large amounts of chemical waste. Unlike solid waste, which can be placed in a bin for disposal, chemical waste must be contained using special disposal methods. 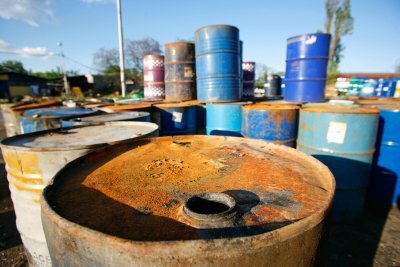 Many types of chemicals can cause environmental harm when they are not disposed of in a proper manner. Your waste management specialists can advise you on best chemical waste disposal practices for your business. Toxic waste is an unavoidable byproduct of many manufacturing methods. While you may not be able to reduce the toxicity of certain kinds of waste, you can make sure that any toxic substances that are created in your plant are not allowed to contaminate the surrounding environment. Toxic waste disposal and management is regulated by governmental organizations, so you will want to make sure that your disposal plan is on par with environmental regulations for your county or state. 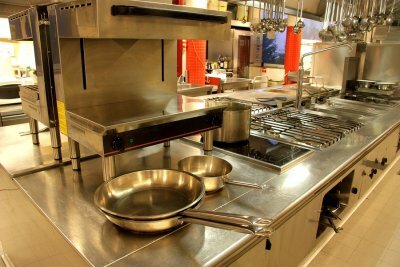 A restaurant kitchen is a busy, fast paced environment that has very little margin for error or waste. In order to help ensure that your restaurant is as profitable as possible, it is a smart idea to create a waste management plan with a company that specializes in dealing with waste near Atlanta. From plastic and cardboard recycling to food scrap disposal and more, your waste management experts can advise you on every aspect of your restaurant waste methods. After your waste plan has been implemented, you will feel great knowing that you are disposing of excess materials in a safe and effective manner. Here are some tips for handling different kinds of restaurant waste. Food scraps create the bulk of waste that is created by an average restaurant. Some different types of food scraps include excess bits produce, uneaten food, or expired products. Some restaurants choose to compost their plant based food scraps. Other foods, such as meat or poultry items, must be placed in the trash. During the prep and production process, your kitchen crew may go through many different types of food containers. Rather than throwing your empty food containers in the trash, you may want to consider creating a recycling program. 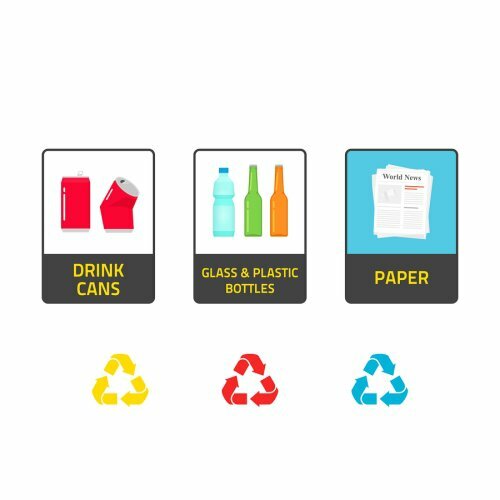 Recycling cardboard, plastic, and glass containers will help you cut down on the amount of trash that you send to the landfill. A properly implemented recycling program will also improve the environmental sustainability of your restaurant. Depending on the style of your restaurant, you may create large amounts of paper waste on a day to day basis. Some source of paper supply waste include used paper towels, beverage containers, napkins, and bags. As you are creating your waste management plan, you will want to decide how you will dispose of your paper products. Paper that has not been contaminated with food can be recycled. However, paper that has traces of food or drink will need to be thrown away. Recycling is a hot topic in the waste management industry. With many myths and facts circulating about recycling’s effectiveness, it is a good idea to do your research about the benefits of recycling. In this video, you will learn all about how recycling works and how recycling can help to protect the environment. A waste disposal company can answer your questions about how to properly recycle near Atlanta. When you create a recycling program for your business , you will be taking a big step towards improving your sustainability. Choosing to recycle your waste and excess goods will place valuable materials back into the manufacturing industry, while also reducing the burden on natural resources. If you are wondering about how recycling can benefit you, be sure to set up a consultation with waste management experts in your city. Our society relies on industrial manufacturing to produce the many appliances, materials, and other items that we use on a day to day basis. As the owner or operator of an industrial company, it is your responsibility to make sure that your business is operating in accordance with industrial waste management regulations. A company that specializes in waste near Atlanta will be able to help you reduce, reuse, recycle and ensure that any environmentally toxic materials that are created in your facilities receive proper disposal. Let’s explore some important guidelines that every business owner should know about industrial waste management. While it may be tempting to save time and energy by disposing of your waste materials in the same container, it is actually very important to create a waste separation plan for your industrial operation. Metals, plastics, and organic materials decompose at very different rates. By taking the time to separate waste by type, you can make sure that each type of material heads to the correct disposal facility. 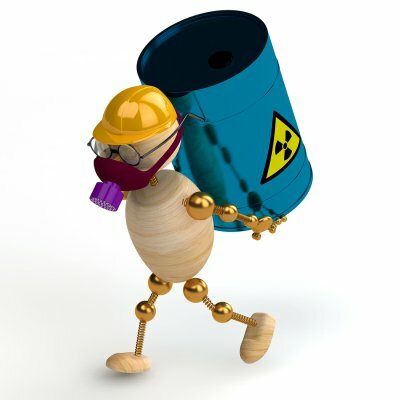 Toxic materials should be decontaminated or contained. Certain industrial processes may create waste materials that have a toxic effect on the environment. When you are creating an industrial waste management plan, you will want to work with a team of professionals to create a solution for decontaminating or containing your hazardous waste. Improper disposal of harmful substances is a very serious crime that can impact the future success of your business as well as the environment around you. Recycling and recovery can help reduce costs. Your industrial waste management plan can also include provisions for recycling or reclaiming materials. If you work with metals, for example, you may want to repurpose scrap metals for other uses. Recycling is a great way to reduce your overall waste output, while also helping to cut down on your overall expenses. If you have questions about how to create an industrial waste management plan, be sure to contact a waste disposal company that serves your area. Incorporating a recycling program into your waste management system can give your establishment a greener image, and can also save you money on taxes and reduce your waste disposal costs. Your senior living facility probably goes through a significant amount of materials and supplies that can be easily recycled. When you participate in a local recycling program, your facility will be provided with recycling bins to place where you deem appropriate. 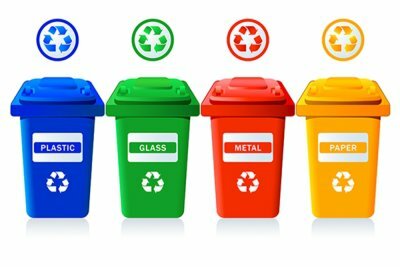 Having the opportunity to recycle can boost the morale of your residents and staff, and the use of recycling bins can cut down on the facility’s waste generation. The amount of food waste that your facility generates may account for a large portion of your total waste disposal costs. Leftovers from meals, fruit and vegetable peels, and coffee grounds, for instance, can all weigh a great deal and contribute to a significant amount of what you end up tossing out. Today, establishments that provide food services are benefiting from participation in organic waste recycling programs. This earth-friendly waste disposal option can prove to be a highly advantageous aspect of your waste management planning. Organic recycling programs accept everything from meat and seafood to produce and paper products. 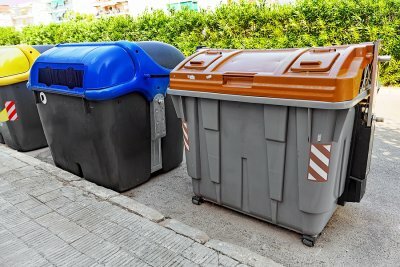 Educating your senior living facility’s staff about waste disposal is an essential aspect of waste management planning. Some of your employee training should include the proper disposal of sharps, the system for labeling and bagging hazards, and what qualifies as regulated waste. Additionally, educating your staff about the appropriate use of regular and organic waste recycling can help promote the success of these programs. Workplace recycling programs are a simple and effective way to reduce a company’s waste generation and carbon footprint. It’s common for people to want to do their part and recycle near Atlanta but, in many cases, they aren’t certain about what materials are supposed to go in the recycling bins . The first step in identifying what items in your workplace are recyclable is to take a closer look at the recycling bins. Many establishments post a guide either on or near the bin to help employees recycle effectively. Also, pay attention to the color of the bin. Your workplace may have separate bins for compost, metal, cardboard, paper, or plastic recycling. If your recycling bins offer no guidance about what should go inside of them, speak with an employee who works with the recycling program or contact the company that handles the recycling for your workplace. Some of the most common recyclable materials you might find yourself disposing of are paper, cardboard boxes, plastic bottles, aluminum cans, and plastic containers. Waste management strategies are essential for boosting your supermarket’s profitability and promoting a green image. Adopting practical programs into your waste disposal system can reduce what your establishment sends to the landfill as well as your costs for trash removal in Atlanta. Whether your supermarket is a standalone corner store or part of a national chain, simplifying your waste management should be a priority. One of the simplest ways to reduce the amount of waste your store generates it to adopt a recycling program. With bins in place throughout your market, your employees and customers will both appreciate the option to recycle their used bottles and containers. Single-stream recycling programs collect all recyclables into mixed bins to offer your business a recycling system that is easy to use and maintain. Another waste management strategy that is gaining popularity and availability is organic waste recycling. This type of program collects organic materials such as meat, dairy, produce, and plants to be processed into compost. With a system in place to make better use of your supermarket’s food and floral waste, you will increase your overall recycling amounts and can drastically reduce your waste generation. When people have fluorescent bulbs or electronics to dispose of, they may not realize that these objects do not belong in landfills. Universal waste recycling serving Atlanta offers manufacturers and businesses a way to properly dispose of a variety of hazardous materials. The EPA’s universal waste program promotes the responsible collection and recycling of particular types of waste that contain certain hazardous materials. The program helps ensure that fewer of these materials end up in landfills where they are unregulated and can contaminate the environment. Universal waste recycling systems make it easier for consumers and retailers to dispose of and transport these materials. Universal waste recycling is designed to streamline the waste disposal management standards for certain types of materials. These programs help to protect the local population and wildlife from the harmful effects that improper hazardous waste disposal may cause. When you choose to properly discard universal waste materials, you help keep toxins like mercury from leaking into the ecosystem. Additionally, because the mercury inside these objects can frequently be recycled and reused, this prevents the need for obtaining as many new resources from the environment. The universal waste program applies to four types of waste: pesticides, batteries, mercury lamps, and mercury-containing equipment. 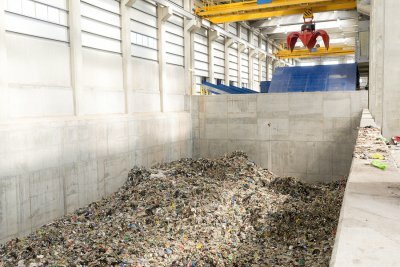 Companies that participate in the program can be either small or large quantity handlers of universal waste, universal waste transporters, or universal waste destination facilities. By knowing the importance of proper waste disposal, you can help do your part to protect the environment and your community. Consumers, businesses, manufacturers, distributors, and retailers should all be aware of the strict guidelines that are in place for the disposal of hazardous materials and seek the necessary means for their disposal. To learn more about the universal waste regulations for your area , you can visit the Environmental Protection Agency’s website. Even if you regularly recycle near Atlanta , you may sometimes find yourself without a recycling bin nearby. Plastic bottles are among the fastest growing components of the municipal waste in America, and tossing them in the trash can have a significant impact. Watch this video to learn about the impact of plastic bottle recycling. The Environmental Protection Agency estimates that as much as 12% of all the solid waste in the United States is plastic products. Luckily, most plastic bottles are made of a material that is easy to recycle and reuse. The plastic recycling process saves a significant amount of resources and energy compared to acquiring and processing the materials needed to make a new bottle.